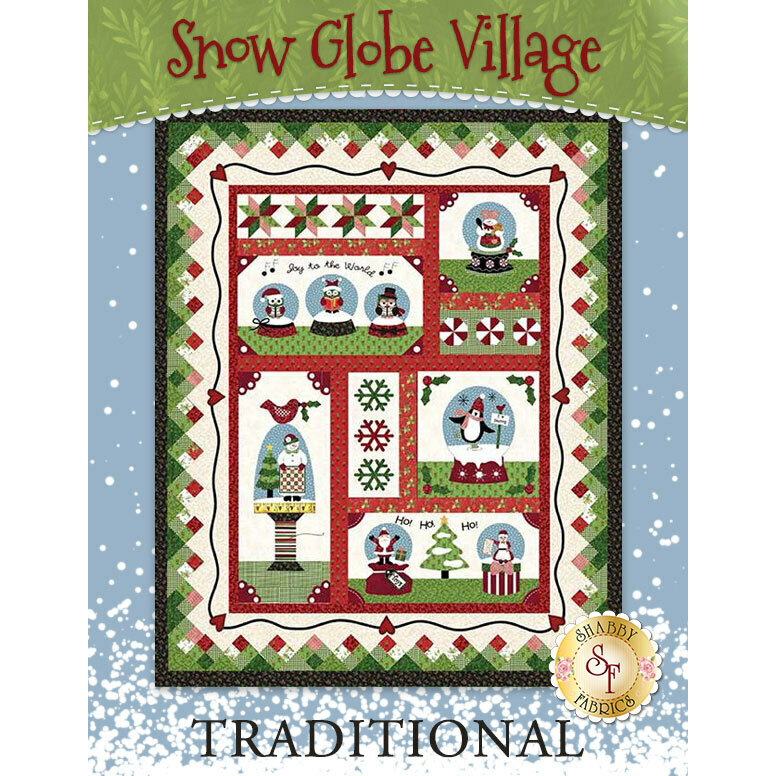 Celebrate Christmas with "Snow Globe Village" quilt designed by Quilt Company! This quilt finishes to 54" x 66¾" and is overflowing with snow globes full of cheery snowmen, skating penguins, jolly ol' Mr. and Mrs. Claus, and so much more! This kit includes patterns, all top fabrics including borders and binding, embroidery floss, buttons & embellishments, and accessory fabrics packet! We have a coordinating 6-pc Kimono Silk Thread Set available that can be used for hand applique. By purchasing these threads as a set, you are saving 10% OFF each spool!